The majority of companies and products I've gotten to review this year have been education and homeschooling related. Today, while this absolutely fits in with a homeschooling lifestyle, my review is for any person in need of a quick meal and a better plan for those days with NO time! 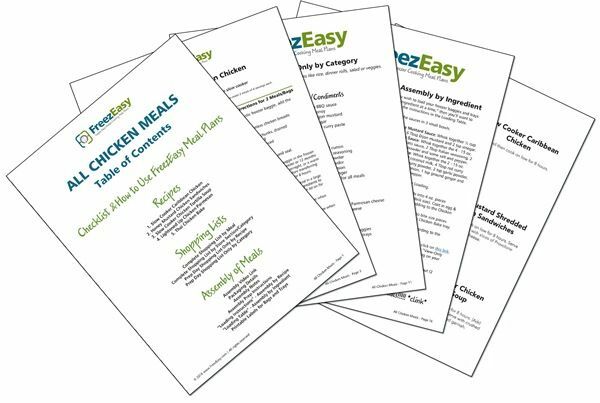 MyFreezEasy has combined the art of meal planning with freezer meals to create custom meal options for your family. 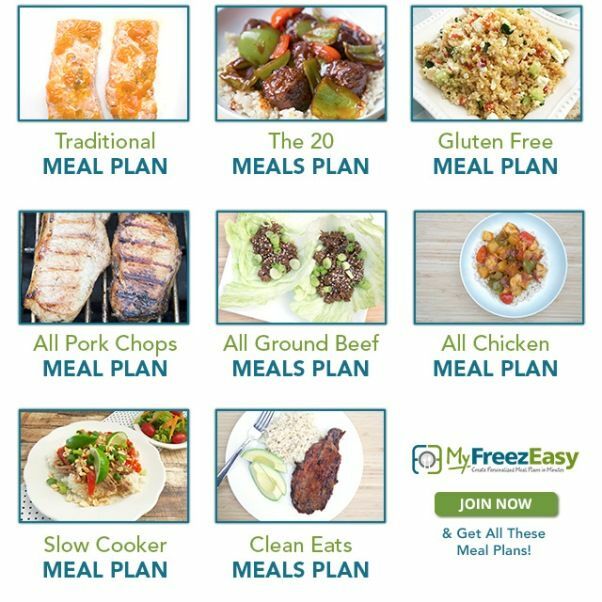 They offer multiple membership options, but what I'm reviewing today is the MyFreezEasy.com Freezer Meal Plan Membership - the Premium Annual option. As you can see in the graphic below, right from the start you have several different options to choose from in the various meal plans that changes every month. Freezer meals aren't exactly a new idea, but sometimes the meal prep can take a huge chunk out of your week, even if it is on Sunday night. One of MyFreezEasy's goals is to provide something easier than spending an hour preparing food each night because some nights that is just an impossibility! All of their recipes are family tested and require minimal preparation time. 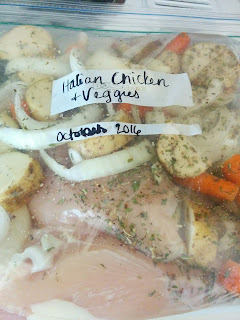 Just today I prepared tonight's dinner for the crock pot as well as a full meal for the freezer in about 15 minutes. -Assembly instructions including how to prep and in what order. This past couple of months I've struggled with morning sickness and my house manager role really suffered. One of the biggest areas was cooking. The most efficient way to tackle MyFreezEasy is to purchase all the necessary ingredients and then spend an hour combining several different meals to put in the freezer. Over the next month, you'll have plenty of options when time is just not on your side! An alternative to that, and what I ended up doing, was pick a meal for dinner first thing in the morning and then create two meals, one for the freezer and one for dinner that night. This method stocked my freezer too, just at a slower pace. There are also options with how you physically plan meals like what meals are included, different printing options of recipes, labels, assembly instructions, and shopping lists. You can use all or none of these. You can spend a day and then not think about it again until next month or spread it out as you have time. That's the best selling point for me is that there are options and no one way to do it! Like any new plan or program, at first sight there are quite a few papers you could print out and finding what you want can take a little bit at first. Once you are familiar with the layout and your needs verses what is available, MyFreezEasy is a slam dunk. There are plenty of recipes to choose from each month and I've already gathered a couple of favorites to use again next month. The time invested is not that much, but provides a great dividend of doable and yummy dinners that you didn't have to slave over! And then when you consider cost - less than $10 a month (when you buy a year's subscription) - I can confidently say this is a great idea to consider for your family!